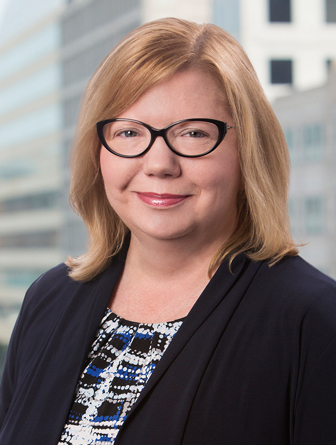 Deneen J. Melander is a trial and appellate litigator who concentrates in the area of government contracts and intellectual property. She has represented companies in bid protests before the Government Accountability Office and the United States Court of Federal Claims and in various matters relating to contract disputes before the various Boards of Contract Appeals and the Court of Federal Claims as well as numerous United States Courts of Appeals, federal district courts, and state courts. Deneen also has represented companies and individuals in civil and criminal defense cases and administrative matters involving export control violations and the False Claims Act. In addition, she has litigated patent infringement cases in federal district courts, at the Court of Federal Claims, before international arbitration panels, and at the Court of Appeals for the Federal Circuit. She frequently counsels clients in the areas of software and technical data rights, export control regulations, Exon-Florio filings, cost allowability and allocation issues, and ethics compliance. Before joining Robbins Russell, Deneen was a litigation partner at Fried, Frank, Harris, Shriver & Jacobson LLP from 1995 to 2008. From 1981 to 1984, she worked as an electrical engineer for TRW, Inc., where she designed and developed military computer hardware and software as well as various communications and radar systems. In addition, she has co-authored several educational software programs. Defended award of multi-billion dollar DoD contract to a defense contractor in response to a GAO bid protest. Represented joint venture in GAO protest of multi-billion dollar DOE contract. Represented major defense contractor in investigation of various issues related to cost accounting. Represented government contractor in defense of numerous allegations of civil and criminal violations of export control laws and regulations. Represented major defense contractor in defense of patent infringement suit in U.S. Court of Federal Claims and on appeal at U.S. Court of Appeals for the Federal Circuit. Provided counseling to high-tech and pharmaceutical companies related to various trade issues including the Buy American Act and the Trade Agreements Act.